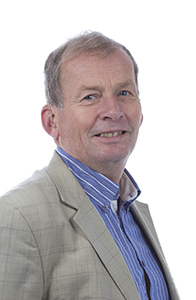 Per Ohlckers is Professor at Department of Microsystems, University of South-Eastern Norway, Campus Vestfold, Horten, Norway from September 2005. He is also Professor Emeritus, Department of Physics, University of Oslo from 2014. He received his M.Sc. degree in Physical Electronics from Norwegian Institute of Technology (NTH, now NTNU) in 1974. Per Ohlckers has contributed to the development of several successful commercial products and he has a large number of international publications with a focus on silicon sensor technology and micro- & nanotechnologies, including two patents. He is supervising PhD students and lecturing in a master course in semiconductor devices at Buskerud and Vestfold University College. He has co-authored a textbook on Packaging & Interconnection Technology for Electronic Systems and have earlier lectured in this field at University College of Southeast Norway and at University of Oslo. He is in the core team of Norwegian Centre of Expertise, Nano- and Microtechnology (NCE MNT), coordinating R&D activities in this industry cluster. * Leader of the PhD programme "Applied Micro- and Nanosystems"
· Biomedical Sensors / Technical Aids for the Handicapped. Office address: Room: G3-21, Vestfold Innovation Park, Raveien 205, N 3184 Borre, Norway. Per Ohlckers is Professor at Department of Microsystems, University College of Southeast Norway, Borre, Norway from September 2005. He is also Professor Emeritus, Department of Physics, University of Oslo from 2014. He received his M.Sc. degree in Physical Electronics from Norwegian Institute of Technology (NTH, now NTNU) in 1974. Per Ohlckers has contributed to the development of several successful commercial products and he has a large number of international publications with a focus on silicon sensor technology and micro- & nanotechnologies, including two patents. He is supervising PhD students and lecturing in a master course in semiconductor devices at Buskerud and Vestfold University College. He has co-authored a textbook on Packaging & Interconnection Technology for Electronic Systems and have earlier lectured in this field at University College of Southeast Norway and at University of Oslo. He is in the core team of Norwegian Centre of Expertise, Nano- and Microtechnology (NCE MNT), coordinating R&D activities in this industry cluster. Part time Vice President, Microsystems, of Intex Inc, Tucson, AZ. Member of the Programme Committee of Transducers ’01, the International Conference on Solid State Sensors and Actuators including Eurosensors XV, Munich, Germany, June 10-14, 2000. Elected member of the board of ITTF, the Technology Group of Norwegian IT Industry 1999- . Deputy chairman from spring 2000. Acting chairman from autumn 2000. Chief Nordic Delegate at World Micromachine Summits from 2006 – 2014. Program Committee Chairman and Organising Committee Chairman, MME2011, Micromechanics and Micro systems Europe Workshop, Toensberg, Norway, June 19-22, 2011. Member of the Program Committee, COMS 2012, Commercialization of Micro-Nano Systems, in Toensberg, Norway, June 24 – 28, 2012. 1. Per Ohlckers, Berit Sundby Avset, Are Bjorneklett, Lars Evensen, Jakob Gakkestad, Anders Hanneborg, Trond Hansen, Arne Kjensmo, Ernst Kristiansen, Helge Kristiansen, Henrik von der Lippe, Martin Nese, Einar Nygård, Fin Serck-Hanssen and Oddvar Søråsen: "Industrial Microelectronics toward the Year 2 000 - A Report on Objectives and Results of a Research Collaboration at the Center for Industrial Research and the University of Oslo" Invited paper, ISHM-Nordic 30th Conference, Oslo, September 20-23, 1992. Appeared as invited paper in Hybrid Circuits No. 32, September 1993, pp 4-11. 2. Per Ohlckers and Henrik Jakobsen: “Challenges of the Emerging Microsystems Industry” Invited paper, Microelectronics Journal, 29 (1998), pp. 587 - 600. 3. Per Ohlckers, Hannu Kattelus, Veli-Matti Airaksinen, Jussi Tuovinen, Jani Karttunen, Klas Hjort: “Status of the Nordic Region” Proceedings of the 14th MicroMachine Summit 2008, Daejeon, Korea, April 30 – May3, 2008. 4. Per Ohlckers:” Education in Micro-and Nanotechnologies at Vestfold University College, Norway” Proceedings of the 14th MicroMachine Summit 2008, Daejeon, Korea, April 30 – May3, 2008. 5. Christopher Grinde, Danilo Demarchi, Per Ohlckers, Pierluigi Civera and Stein Ivar Hansen: “An approach to seminar based MEMS training” Proceedings of 7th European Workshop on Microelectronics Education, Budapest, Hungary, May 29 – 30, 2008. 6. P. Ohlckers, T. Skotheim, V. Dmitriev, G. Kirpilenko :“Advantages and Limitations of Diamond-Like Carbon as a MEMS Thin Film Material” Technical Proceedings of the 2008 NSTI Nanotechnology Conference and Trade Show, Volume 1, Chapter 1: Carbon Nano Structures & Applications, pp. 63-66. 7. P. Ohlckers, P. Pipinys: “Phonon-assisted tunnelling mechanism of conduction in SnO2 and ZnO nanowires” Technical Proceedings of the 2008 NSTI Nanotechnology Conference and Trade Show, Volume 3, Chapter 1: Photonics and Nanowires, pp. 150-152. 8. Luca Petricca, Per Ohlckers and Xuyuan Chen (2013). “The Future of Energy Storage Systems”, Book chapter in: Energy Storage - Technologies and Applications , ISBN: 978-953-51-0951-8, InTech, DOI: 10.5772/52413. Available from: www.intechopen.com/books/energy-storage-technologies-and-applications/the-future of-energy-storage-systems. 9. Pai Lu, Einar Halvorsen, Per Ohlckers, Lutz Müller, Steffen Leopold, Martin Hoffmann, Kestutis Grigoras, Jouni Ahopelto, Mika Prunnila, Xuyuan Chen: “Ternary composite Si/TiN/MnO2 taper nanorod array for on-chip supercapacitor” Electrochimica Acta 248 (2017) 397–408. dx.doi.org/10.1016/j.electacta.2017.07.162. 10. Eivind Bardalen, Bjørnar Karlsen, Helge Malmbekk, Oliver Kieler, Muhammed Nadeem Akram and Per Ohlckers: «Packaging and Demonstration of Optical-Fiber-Coupled Photodiode Array for Operation at 4 K” IEEE Transactions on Components, Packaging, and Manufacturing Technology Volume 7 Number 9 September 2017. doi:10.1109/TCPMT.2017.2699485. 11. Eivind Bardalen, Helge Malmbekk, Muhammad Nadeem Akram, Per Ohlckers and Bjørnar Karlsen: “Evaluation of InGaAs/InP photodiode for high-speed operation at 4 K” International Journal of Metrology and Quality Engineering (IJMQE) 9, December 2018. doi.org/10.1051/ijmqe/2018015.